The BTC Company and Pristop Agency receive the Prism award for the communications excellence of the programme of encouraging cycling in Slovenia • BTC d.d. 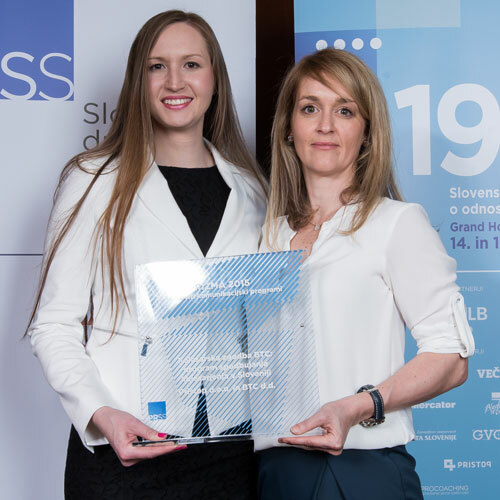 Prism is a national award, presented by experts to Slovenian organisations for well realised communication programmes in the field of public relations by the Public Relations Slovenian Society (PRSS). The BTC Company and Pristop Agency received the Prism award for their two-year communication project “BTC Cycling Story – Programme of encouraging cycling in Slovenia”, which has successfully encouraged people to take on cycling and has impacted the cycling habits of Slovenians, as well as it has managed to bring cycling closer to the female population. The award can be seen as recognition to the entire BTC Company team, Pristop Agency, and the Cycling Society KD Rog, as well as all other partners who have lived with the project and are ambassadors of cycling in Slovenia. Where did the inspiration for the “BTC Cycling Story” come from? Since 2013, the BTC Company has realised numerous activities pertaining to recreational cycling. The Company has recognised the opportunities of cycling for a broader society and the compliance of cycling with a socially responsible policy and business strategy of BTC. It has taken an active role in the development of recreational and professional cycling in Slovenia, and connected and upgraded all its past activities with an integrated two-year strategy of encouraging cycling in Slovenia 2014–2015. The latter included numerous cycling activities with intense communication support. The project has surpassed all the goals bound to encouraging cycling and the successfulness of communications. For example, the number of Marathon Franja BTC City participants has jumped from 7,182 (2013) to 7,658 (2015). The share of female cyclists in all categories of Marathon Franja BTC City has in the same period increased from 24% to 30%, while the number of visits to the Marathon Franja BTC City website increased from 11,270 to 172,916. The project represents a form of good practice regarding social responsibility, mainly due to the active role of the Company in the selected area, the long-term and partner-oriented direction, the relevancy of content and the connection to their own business model.